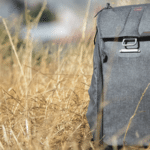 With nearly 48 hours until its epic Kickstarter comes to an end, Peak Design’s Everyday Backpack Collection has successfully surpassed $5.2 million from more than 21,000 backers. 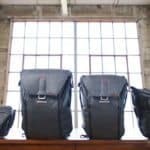 The company is known for its high-quality bags and last year it raised $4,869,472 from 17,029 backers on the crowdfunding platform for its original Everyday Messenger Bag. The new Everyday line offers four more bags, which are the Everyday Backpack (features two sizes), the Everyday Tote, and the Everyday Sling. 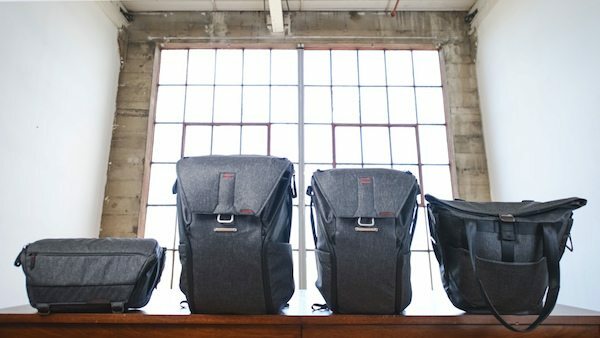 The Peak Design team revealed that each of the bags features lightweight, waterproof material that is all custom with a lifetime guarantee. 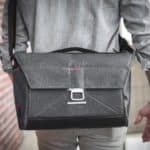 They will also feature dedicated carry for laptop/tablet devices and tripods, along with discreet built-in luggage straps. The Everyday Sling is currently available for $125, the Everyday Tote is $155, and the Everyday Backpack is $199. Each bag is available in the colors ash and charcoal. 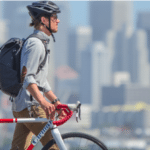 As previously reported, Peak Design showcased three sizes of its new Range Pouch, which its will be offering on Kickstarter at discounted prices. 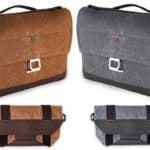 The retail price of the pouches will be $35, $40, and $45 for the S/M/L, but Kickstarters can order them for $29, $34, and $39 by clicking the “Manage Pledge” button on the campaign page. 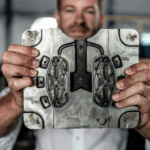 Backers just add the dollar amount that corresponds to the size and quantity and Peak Design will handle the details at the end of the funding period. No need to add on additional shipping cost.The bags (and even the Range Pouches) will be delivered in time for the December holidays. 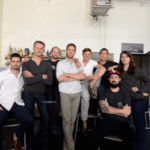 The campaign is set to close on Friday. This entry was posted in Offerings and tagged backpacks, everyday backpack, kickstarter, peak design. Bookmark the permalink.